Public attitudes regarding the legalization of marijuana have shifted dramatically over the past several decades with a majority of Americans now supporting the legalization of recreational marijuana (Gallup, Pew). This notable shift in American culture has led to an increasing number of states enacting statutes that have decriminalized or legalized marijuana's use and has also raised important questions about how to regulate, cultivate and manage an emerging industry. 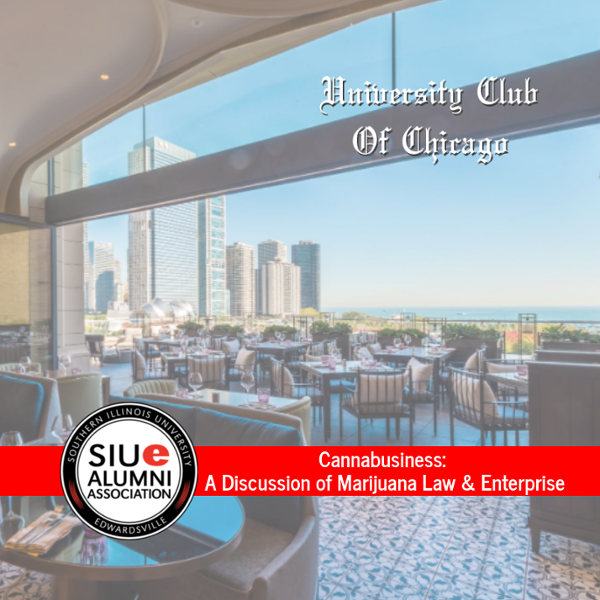 Please join the Alumni Association's Chicago Chapter as panelists from across the cannabis industry engage in a discussion about pressing concerns related to this enterprise including how they navigate the complex legal environment in which the industry is situated. As more states and countries move to legalize the use of marijuana for both recreational and medical purposes, it becomes critical to have a better understanding of the roles that law, politics and business play in this developing space. Erin Alexander - Associate General Counsel at CrescoLabs, Inc.
Mitch Meyers, '78 '81 - CEO and Founder of BeLeaf Co.
Abdul Mohamed - EVP, General Counsel and CCO of Revolution Enterprises, Inc. Your $15.00 entry fee will cover your admission to the panel, appetizers, one (1) complimentary drink ticket and a cash bar. Business casual or business attire is required for this event. Registration and networking - 5-6 p.m.
Panel begins at 6 p.m. Registration deadline for this panel is February 21, 2019. Register for the panel today by clicking here! 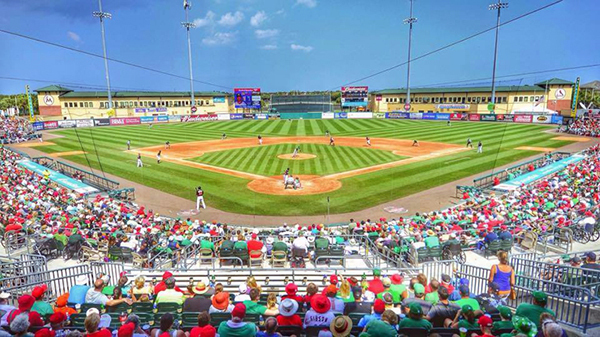 Bring your family and join SIUE alumni, friends and staff for an exciting Spring Training game as the St. Louis Cardinals take on the Houston Astros at Roger Dean Chevrolet Stadium in Jupiter, Florida! VIP Access to the SIUE Tent and buffet will run from 12:00 p.m. to 2:00 p.m. with the game starting at 1:05 p.m. Registration deadline to secure game tickets is Monday, March 4, 2019. After you have registered, additional details will be sent via email regarding specifics about the day of the game. Click here to register for Cougars on the Move! 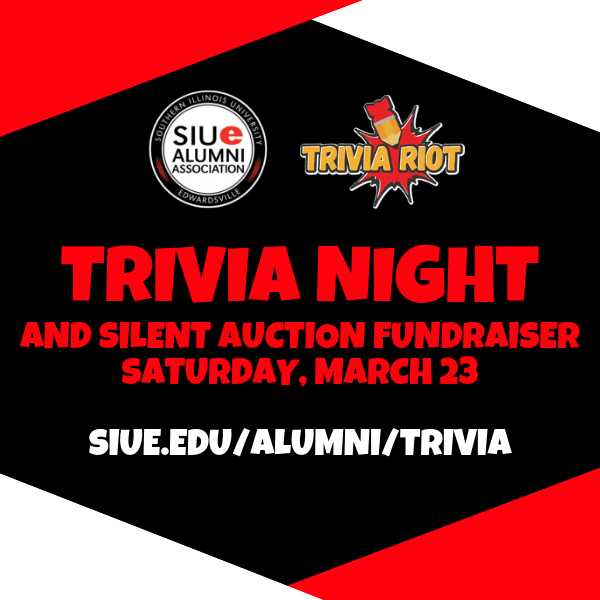 Doors open at 6 p.m.; Trivia Starts at 7 p.m.
﻿Join the SIUE Alumni Association at the Edwardsville American Legion for our annual Trivia Night and Silent Auction fundraiser on Saturday, March 23, 2019! Registration for a team/table of 8 is $200 with all proceeds from the event benefitting SIUE student scholarships and Alumni Association programs. The registration fee includes two drink tickets for each team member. A cash bar is available and teams are invited to bring their own food and snacks. No outside alcoholic beverages please. In addition to trivia provided by St. Louis based Trivia Riot, enjoy the silent auction, 50/50 raffle, a “Decades-Themed” table decorating contest, and more! First place team wins $350 and second place team wins $200. Reserve your team’s spot today by clicking the Register/RSVP icon in the upper right or call Nick Niemerg at 618-650-3630. If you or your company are interested in becoming a sponsor or would like to contribute to the silent auction, contact Nick Niemerg at nniemer@siue.edu or 618-650-3630. The Alumni Association is hosting another happy hour for St. Louis and Metro East area alumni! 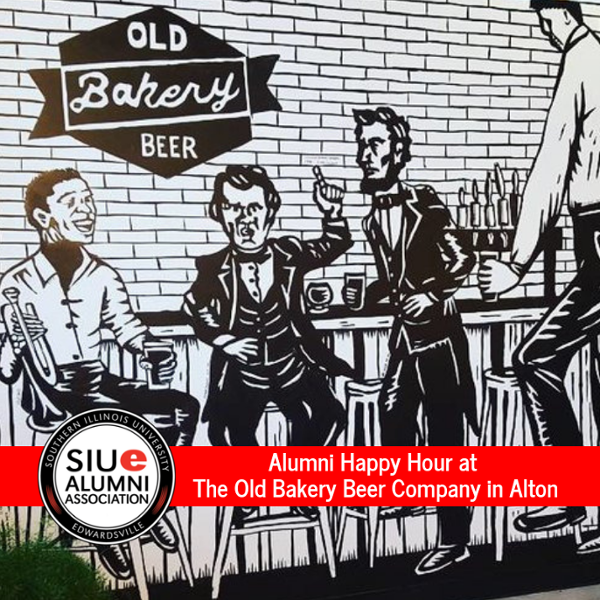 Come kick back after work with the first two rounds on us while you network and meet fellow SIUE alumni at the amazing Old Bakery Beer Company in Alton! Registration is not required but STRONGLY encouraged. Click here to register for the Alumni Happy Hour. 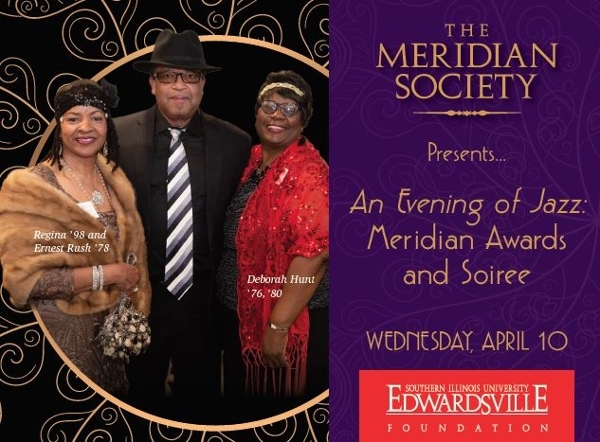 Join The Meridian Society for a complimentary reception with cocktails and hors d'oeurvres featuring a SIUE Stuent Jazz Trio and the presentation of Meridian Awards. All current and new Meridian Society members will receive a membership pin. Click here to register for An Evening of Jazz! 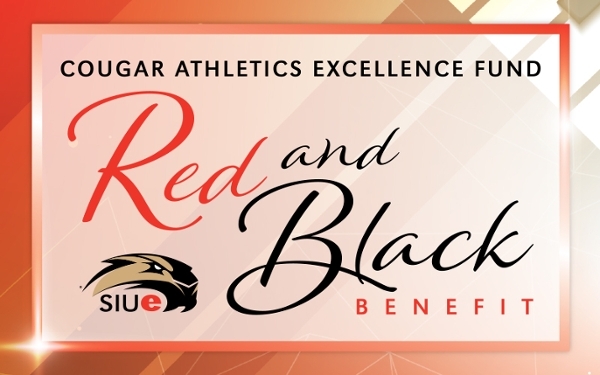 Social hour begins at 5 p.m.
Dinner and live auction begins at 6 p.m.
Make plans to attend the 2019 Red & Black Benefit, to benefit the SIUE Cougar Athletics Excellence Fund. The Red & Black Benefit is an exclusive fundraising event for the SIUE Department of Intercollegiate Athletics. This initiative strives to eliminate financial constraints placed on student-athlete scholarships, welfare and experiences to help our student-athletes achieve their academic and athletic goals. There will be a limited number of tickets at $150 per person or a table of 10 for $1,500. Tickets include complimentary premium bar service, dinner, & evening entertainment by the Dueling Hobbits, Dueling Piano Productions. Once the event is sold out, there will be no additional tickets available. Don't miss out on your chance to be a part of this great event! Tickets are available by calling SIUE Athletics Director of External Affairs Allie Wielansky at 618-650-3155. Come decked out in your derby best and celebrate The Meridian Society's signature social event and lunch reception! Individual ticket price is $30. 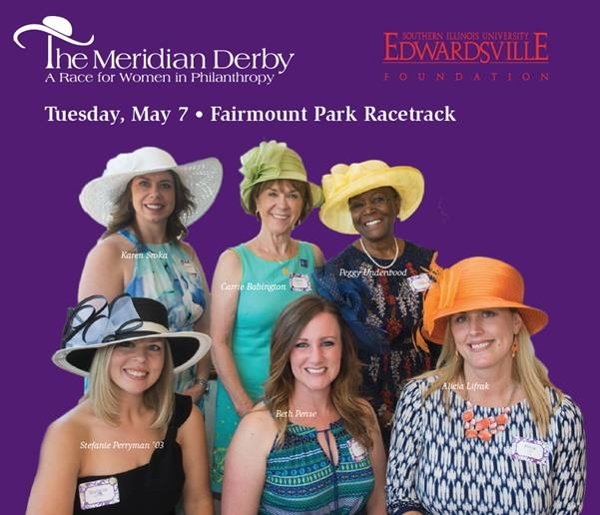 Click here to register for The Meridian Derby! This spring marks a special celebration for our most seasoned alumni, our Golden Graduates. 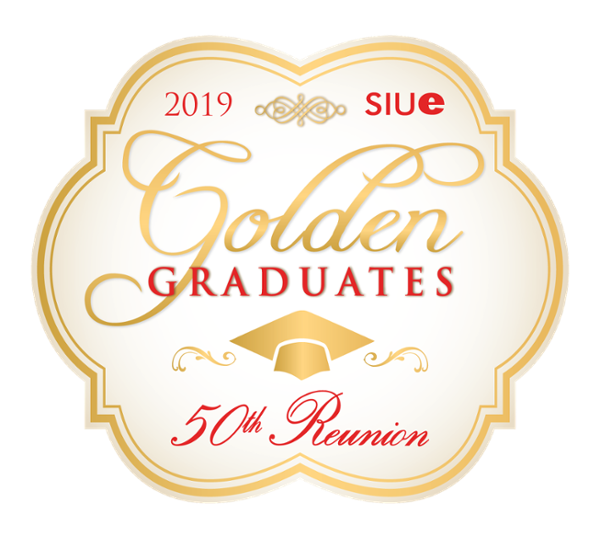 If you graduated from SIUE 50 or more years ago, you are cordially invited to join fellow SIUE alumni on campus to celebrate our 50-year reunion. This milestone is an incredible opportunity for you, our Golden Graduates, to celebrate your time on campus and your lasting commitment to SIUE. This reunion weekend includes a campus bus tour, reception, brunch and will culminate with you being honored at the afternoon commencement ceremony on Saturday, May 11. The Golden Graduation Reunion registration fee is $25 per Golden Graduate and $10 per guest. Please call the SIUE Office of Alumni Affairs at 618-650-2760 by April 19 to register or for more information. Click here for more information about the Golden Graduation Reunion!